Cristine's research interests in theoretical solid state physics include (1) thermoelectric properties, (2) transport characteristics and (3) the magnetic behavior in low dimensional materials. For example, she studies the heat capacity behavior of two dimensional electron systems in the quantum Hall regime. 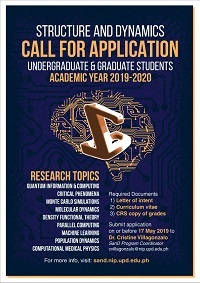 She collaborates with Ronald Banzon in the field of percolation, modeling of quantum well states and optimization of quantum search algorithms. She has been involved in the study of thermoelectric properties in disordered systems. Cristine has been the program coordinator of SanD from its inception in 2003 until 2013, and again beginning 2018. 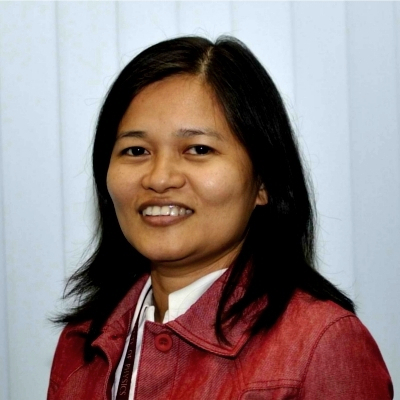 She has also served as the Director of the UP Diliman Office of Extension Coordination from 2011-2014 and as a Project Development Associate (PDA) for the UP Diliman Office of Vice Chancellor for Academic Affairs.